As Sheffield wedding photographers we love photographing weddings at Whitley Hall in Sheffield, especially in the Autumn when it feels at its cosiest. Gemma & Jim had a sunny (in parts) wedding day! Gemma looks amazing in her dress flanked by her bridesmaids – I love her bouquet with the succulents. Downstairs Jim was keeping the guests entertained whilst they waited. The ceremony was fantastic with lots of nervous laughter before the guests headed outdoors for photographs dodging the rain showers! The grounds of Whitley Hall are stunning in the Autumn with the leaves all changing colours. Inside the room was dressed for the reception with lovely little details and a spectacular looking cake! After speeches and food came some very enthusiastic dancing! 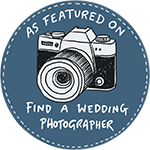 Helen & Paul are Lake District wedding photographers covering Cumbria, weddings in Carlisle, Cockermouth and Keswick. We also head to Sheffield to photograph weddings too, in fact we will photograph weddings in the Peak District and all over Yorkshire – just contact us to see if we are free!